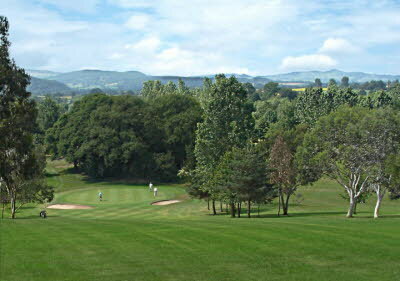 Following on from the signing of a 25 year lease Arscott Golf Club, only 5 miles from the centre of Shrewsbury, officially entered a new era as a member-run Golf Club. This move now secures the future of this great 18 hole golf course for another 25 years. By doing this we can provide an established course to our current members whilst actively pursuing new members who may have admired Arscott from afar or be new to the area and not aware that this amazing course is right on their doorstep. Led by a core management team of seven of the Club’s playing members who are Directors of Arscott Golf Club Ltd, there are many other members now actively involved in the Club offering their expertise and knowledge for the Club’s benefit. Members are already experiencing a number of improvements at the Club; the bunker improvement programme is underway, the greens are speeding up and a new tractor-mounted leaf collector is making light work of the falling leaves across the course. The course is 6232 yards off the white tees with each hole offering a different challenge, a change of aspect and some with spectacular panoramic views. There are three par 3s and two par 5s. The bar and balcony offer a superb setting overlooking the 18th green with the pools and Pontesford Hill for a backdrop. The clubhouse is open 7 days a week and golfing societies are welcome, and can be privately rented for functions – be it large or small, business or social. Our resident professional, Glyn Sadd has a fully stocked golf shop and is always ready to give one to one or group tuition. So, whatever your age, ability or budget, Arscott has something to offer everyone. Arscott Golf Club has a very active membership with competitions and events being held throughout the year. Each month throughout the year the sections holds regular club competitions including at least two qualifying competitions (weather dependent) utilising both Saturday and Sunday of alternate weekends, enabling all members to compete in Stableford and Medal competitions. Ever popular is the Wednesday Club Night and our Express golf at the weekends. Just turn up and play. Throughout both the summer and winter seasons there are Matchplay competitions for both singles and doubles and during the winter there is an Eclectic competition. Several fun competitions take place and mixed events are organised and provide a great opportunity to meet other members and find new playing partners. The Club holds several social events throughout the year and these have included prize givings, Captain’s away days, Casino nights, Oktoberfest and many more. Join with friends, or make new ones on both the course and in the Club House and make Arscott Golf Club your club.